This collection contains flowers that have been introduced from other places in the world and grow in abundance in Hawaii. 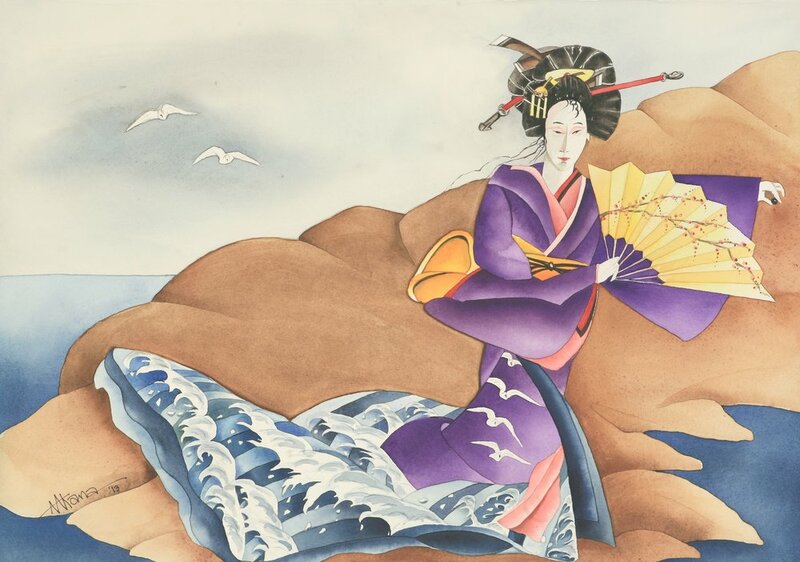 It also contains two watercolors of Japanese women, representing the artist’s interest in East Asian culture, which he studied in college. Flowers are an important part of Japanese landscape and clothing.